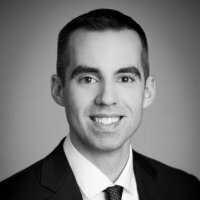 Adam Dickson has advised clients on a wide variety of commercial transactions, including mergers, acquisitions, dispositions, leveraged debt financings, planning corporate governance strategy, and negotiating executive employment agreements, equity arrangements, and general commercial contracts. Prior to joining Frigon Maher & Stern LLP, Mr. Dickson spent five years working at prominent New York-based law firms representing clients in the investment banking and private equity industries on market-leading transactions, and also advised operating companies owned by private equity funds on day-to-day corporate matters. Before working as an attorney, Mr. Dickson worked in the music industry for the world’s largest digital music distributor and specialized in music licensing and royalty administration. A $2.6 billion first lien term loan facility and a $325 million second lien term loan facility for corporate borrower operating in the real estate leasing industry. A $280 million first lien term loan and revolving loan facility and a $125 million second lien term loan facility for a corporate borrower operating in the medical records industry. A $62.5 million term loan to a private family trust to refinance construction loans for America’s fourth-largest mega-yacht. A $30 million term loan to a television and movie studio. Snow Phipps Group in its acquisition of Teasdale Foods, a bean manufacturing/packaging company from Silver Lake Partners, and Teasdale’s subsequent acquisitions of related companies specializing in spices, tortillas, and pre-made Mexican food products. Centerbridge Partners in its $1.2 billion acquisition of IPC Systems, Inc., a company specializing in manufacturing and servicing financial trading telephone systems, and IPC’s subsequent acquisition of Etrali Trading Solutions, IPC’s primary foreign competitor. American Securities in its disposition of GT Technologies, an auto parts manufacturer. A private equity fund in its internal corporate reorganization of a chemical manufacturing company. PSP Investments in a minority investment in AlixPartners, a consulting company. Lindsay Goldberg in its $1.62 billion disposition of Bluegrass Materials, a mining company, to Martin Marietta Materials, Inc.
A pharmaceutical joint venture in a corporate reorganization.